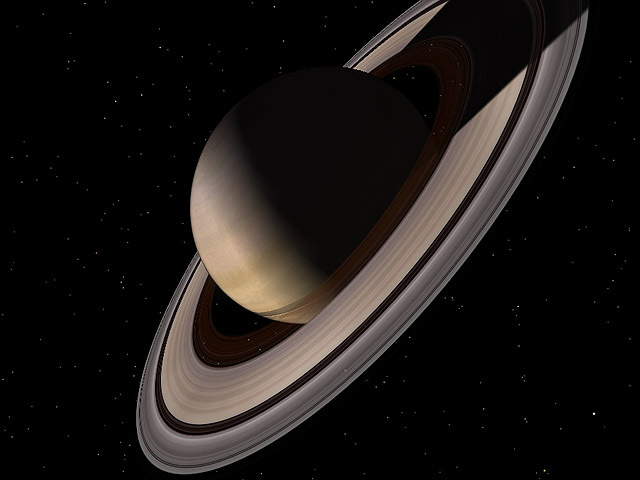 3D Saturn screensaver. "3D Space Tour" screensavers collection. Official author's website. 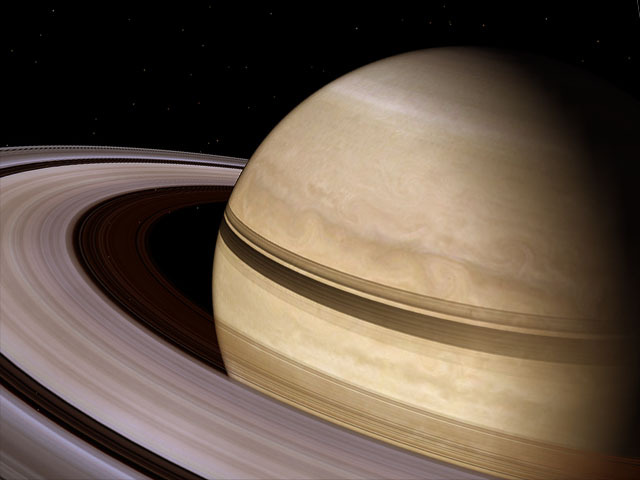 Certainly one of most impressive cosmic scenes in our Solar System is amazing view of giant planet Saturn with it's famous icy ring! I've spend a lot of hours with my telescope (since amateur astronomy is my hobby) enjoing this incredible eye-cathing planet. When I decide to create this screensaver, I have researched many HST and Voyager's photos and carefully adjusted colors, textures and special effects to gain maximum possible realism for this scene. 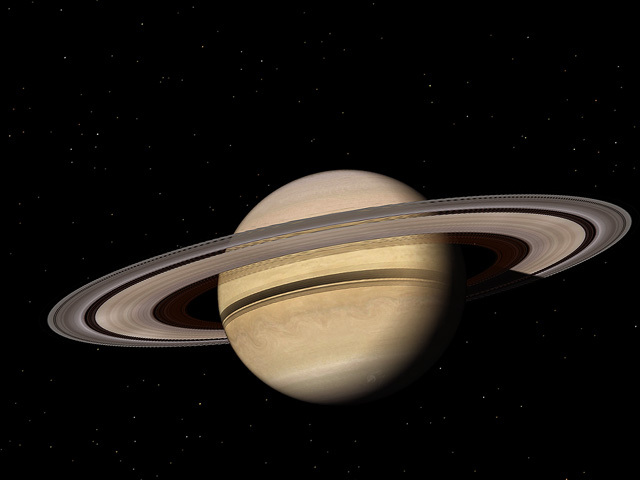 You will even see accurate rendered ring's shadow on the planet and planet's shadow on the rings system. Take a look at this beautiful cold gas giant with it's amazing rings system. This unique 3D-accelerated screensaver features true photo-realistic and astronomically accurate 3D-simulated orbital flight around the planet near it's famous Ring. Each single frame of endless smooth animation is comparable with best NASA photos, so this screensaver can be also used for educational purposes in "demo" mode. 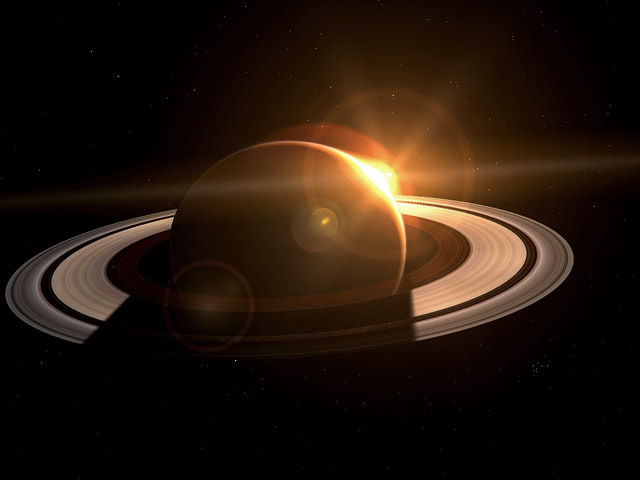 Amazing show of sunsets and sunrises from the orbit of Saturn, atmospheric dawn shines. Astronomically accurate 3D models with carefully adjusted colors, blur, atmospheric fogs and high-quality textures. Advanced configuration dialog is well integrated with other screensavers from our 3D Space Tour™ collection and has a Web-Update feature, makes you able to preview and download all new additions to this screensavers collection by one click!